Every woman experiences menopause differently. For some lucky women, it will be a gradual phase that is almost unnoticeable. For others, it can be a very difficult experience because of several menopause symptoms that can cause a lot of discomforts. Menopause is basically the end of the reproductive years of a woman meaning she will no longer be able to get pregnant once it is finished. Because of the dangers related to hormone replacement therapy (HRT), the most popular treatment for symptoms of menopause is the use of alternative treatments including a healthy lifestyle and the use of menopause relief supplements. To help you find a good product that is highly effective and completely safe, we will be reviewing a popular brand being sold today. 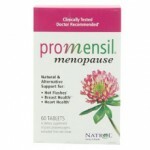 Promensil is a brand of supplements for menopausal and post-menopausal women. The supplements are formulated especially to address the discomforts menopausal women experience. The products are designed primarily to provide relief for the different symptoms of menopause. Promensil is a patented natural health product that uses isoflavones to reduce the severity of the different menopause symptoms. Three different formulations are available: Regular Strength, Double Strength, and Vitality. Promensil Regular Strength contains 40 mg of isoflavones. It is for reducing severe and frequent hot flashes in post-menopausal women. It also helps reduce bone density mineral loss when taken with calcium and vitamin D. The product also helps support cardiovascular health by helping improve the elasticity of the arteries. Promensil Double Strength contains 80 mg of isoflavones. It is for reducing severe and frequent hot flashes in post-menopausal women. It may also reduce other menopause symptoms like night sweats, nervousness, sleep disorders, vaginal dryness and poor concentration. With an adequate intake of calcium and vitamin D3, it also helps reduce the loss of bone density minerals. It also helps support cardiovascular health like the regular formulation. Promensil Vitality contains 40 mg of isoflavones, 500 g of calcium and 140 IU of vitamin D3. It is formulated to reduce the severity and frequency of hot flashes in post-menopausal women. It also helps reduce the loss of bone density minerals and supports cardiovascular health. Promensil Ingredients – Are they Safe & Effective? The primary active ingredient in Promensil is Red Clover which is a rich source of isoflavones (estrogen-like compounds). 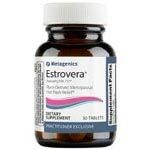 It provides the body with plant estrogens or phytoestrogens (isoflavones) which help address the declining level of estrogen in women going through menopause. The different symptoms of menopause are primarily due to deficient estrogen in the body. Thus, increasing intake of phytoestrogens helps relieve the different symptoms of menopause. The Promensil Vitality formula also contains calcium and vitamin D3 to reduce bone loss which occurs in postmenopausal women. This helps prevent osteoporosis, which is a medical condition most menopausal women suffer from. What are the Advantages of Promensil? What are the Disadvantages of Promensil? These products might cause extreme hormonal imbalances, which results to reproductive problems. They might cause allergic reactions. When Should Promensil Not Be Used? Because of its estrogenic effect, Promensil shouldn’t be used by healthy, pregnant or nursing women since it might disturb important hormone balances. It may also cause bleeding disorders when used by women who are not going through menopause. It shouldn’t be used by women who have hormone-sensitive conditions like uterine fibroids, endometriosis, ovarian cancer, breast cancer and uterine cancer. If you are taking medication or have any medical condition, you need to consult your doctor before taking this supplement. Make sure you’re not allergic to any of the ingredients before taking Promensil. If you have any kind of medical condition or are taking medication, it would be best to consult your doctor before using this supplement. This product is only intended for menopausal women to relieve hot flashes and other menopause symptoms. It shouldn’t be taken with other menopause drugs or supplements unless otherwise directed by a physician. Promensil is a brand that is involved in the manufacturing of menopause supplements. These products contain quality and natural ingredients, and they deliver results without causing harmful effects. Using these products helps to ease menopause symptoms and make the user to comfortably go through the menopause stage. However, these claims are not supported by clinical trials and you should research more and find out whether they are able to work as claimed.